Hunter Bros. Earthmovers Pty. Ltd. is a South Australian owned company operating from Carey Gully in the Adelaide Hills. Established in 1945, Hunter Bros. are third generation earthmovers with a proud reputation for excellence in all areas of their business including work quality, value for money and customer service. 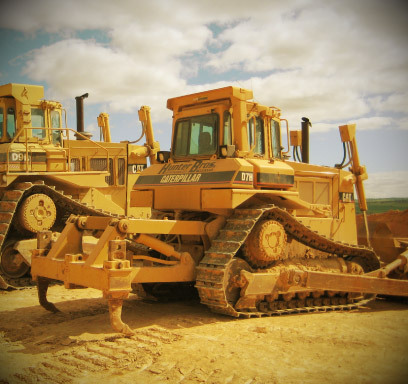 Hunter Bros. provide earthmoving services to a wide range of clients. We enjoy working on projects of all sizes from small jobs for local clients to large projects for corporate clients. Our business has grown significantly since its original establishment and we continue to look forward in areas to improve and value-add for our customers. We pride ourselves on our safety history and our OH&S systems and management. We are a progressive organisation that keeps up to date with new technologies such as on-machine GPS Surveying and Automated Laser Levelling. We provide no obligation, free estimates for all jobs. Hunter Bros Pty Ltd actively contributes to social and environmental initiatives in the local community both through the donations to charities and sporting club sponsorships.